KK Women’s and Children’s Hospital (KKH) is celebrating its 50th anniversary and its marketing team is working with full steam ahead. The hospital is upping its marketing activities by trying to set a new Guinness world records title for the “Largest reunion of people born at the same hospital”. The event will take place on 16 October 2016 at Bishan Stadium with a community family carnival open to all to celebrate the Singapore identity, family life and an active lifestyle. 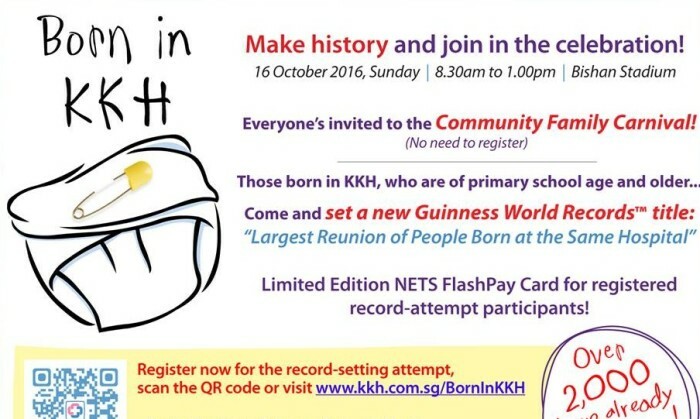 KKH hopes to gather 3,000 people who are born in the hospital. Registrations for the event have crossed the 2,000 mark. The hospital had set a world record last in 1966 when it recorded the largest number of births in the world in a single year. It held the record for ten years. Since then, KKH has evolved in Singapore and worldwide and 1.2 million Singaporeans have been born in the hospital. Will you be at the event? What’s the future of Newsweek in Asia? Newsweek's decision to cease print and go fully digital in 2013 has raised questions over its operations in Asia. ..
Blis’ foray into the Middle East follows its recent office openings in Hong Kong and Australasia earlier this year..